Philippe Pouletty is co-founder and Managing Partner of Truffle Capital, a forerunner of venture capital in Europe. 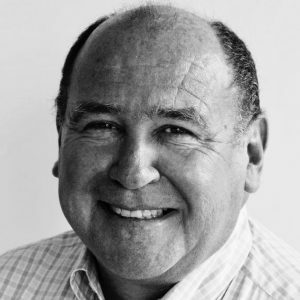 He is a Biotech and Medtech industry veteran, with a dual experience in the Silicon Valley and in France. Dr. Pouletty is Founder and Chairman of Deinove (Alternext: ALDEI) and Abivax (Euronext: ABVX), Founder of Carbios (Alternext:ALCRB), Co-founder and Board member of Carmat (Alternext: ALCAR), Pharnext and Vexim (Alternext:ALVXM), and Board member of Myopowers, Kephalios, and Epygon, all of which are Truffle Capital portfolio companies. Dr. Pouletty is Founder of SangStat (1988, organ transplantation therapeutics, IPO on NASDAQ in 1993, sold to Genzyme for $600M in 2002) and Conjuchem (founded in 1993, IPO on the Toronto stock exchange in 2000). France by President Chirac in 2004 and recently designated as the best tax incentive by the European Commission. He is the inventor of 29 patents, including the second highest revenue generating life science patent for Stanford University, earning him entry into the prestigious Stanford University Hall of Fame of Inventors in 2012. A former hematology and immunology resident in Paris hospitals, Dr. Pouletty holds an MD from the University of Paris VI and Master’s in immunology and virology from the Pasteur Institute, was a post-doctoral research fellow (1986-1988) at Stanford University, and the 1999 laureate of the American Liver Foundation. He was also awarded the Chevalier of the Légion d’Honneur.